The “lotus effect” allows water to roll easily off the leaves to feed the plant’s roots. The functions of nature are low-energy and simple, using available resources to conform to changing conditions. 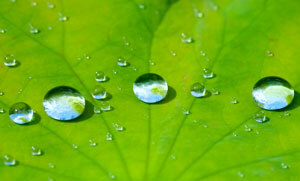 For example, the surface of a lotus leaf is lightly textured to help water and dirt roll off easily. This technology has been used to create fabric and paint finishes that repel stains, and uses up to eight times fewer harmful chemicals in the process. However it is not just established traits of plants that are helpful; thermal engineers that develop electric fans have studied the natural phenomenon of how hot air and water travel naturally in a fluid spiral. Nature’s spiral can be reduced to the golden ratio, which was first formulated into a mathematical equation developed by Pythagoras (I am fascinated with how math, music and nature are constantly intertwined throughout history, but I will save that for another time). Earth-friendly engineering group PAX Scientific, Inc. first applied the spirals that can be found in seashells and your inner ear to their fans, rotaries and turbines. The resulting products have noise reduction of up to 75%, and lowered energy consumption anywhere from 10-85%. 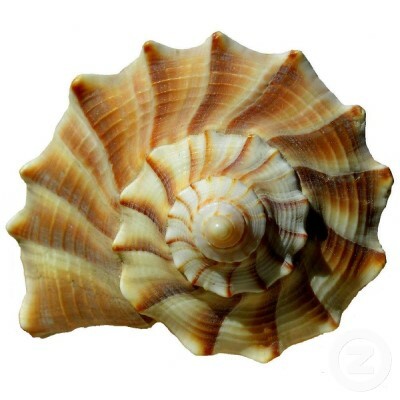 A seashell is just one example of the mathematical golden ratio found in nature. Not many people have heard of biomimicry; my computer’s spell-check doesn’t recognize it as a valid word. The most popular example today is because of Mercedes-Benz. The designers looked to nature for an example that encompassed safe, comfortable movement and an aerodynamic structure. They found the boxfish. The new Bionic Concept Vehicle emulates the extremely strong, lightweight hexagonal frame that protects the fish from harm, and gets up to 70 miles per gallon. The engine uses new Select Catalytic Reduction (SCR) technology that uses the operation liquid AdBlue. AdBlue is a water-based solution that is sprayed into the engine in measured amounts to neutralize harmful nitrogen oxide emissions into common nitrogen and water. 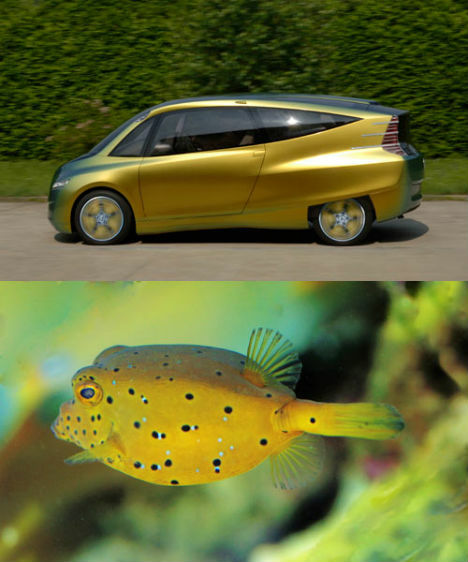 The yellow boxfish, and the Bionic Concept Vehicle it inspired. Speedo has developed a new fabric to make swimsuits for athletes, most notably worn by record-breaking Olympians at the Beijing summer games in 2008. 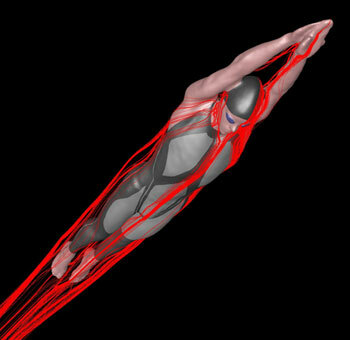 The LZR Racer suit was developed by studying preserved sharks at the Natural History Museum. A shark’s skin is covered in tiny “teeth” that enable water to roll off of it without creating too much drag or friction. Speedo worked with NASA to test different materials, and settled on one that eventually helped swimmer Michael Phelps win eight gold medals. This elevated attention to the practicality and structure of sharks may hopefully lead to their protection. One third of European sharks are endangered because of over-fishing for their oils and fins, as well as pollution. Although the LZR does not contribute any environmentally-friendly processes to the world, it raises awareness that 150 million natural learning tools are killed annually due in part to toxic ocean conditions. Speedo’s Fastskin bodysuit is specifically designed to cut through water, reducing drag and friction. Over twenty colleges and universities offer courses in architecture, marketing and biology that focus on biomimicry. These schools have enough resources and demand for these very specific fields of study. Many are graduate schools that focus on Environmental Science or Industrial Sustainability. There are also many well-established schools and institutions abroad that embrace biomimicry, and range from Canada to Austria to Slovakia. It is very encouraging to see young people take such an interest in preserving the stability that can be learned from nature, and applying the process to their everyday lives. 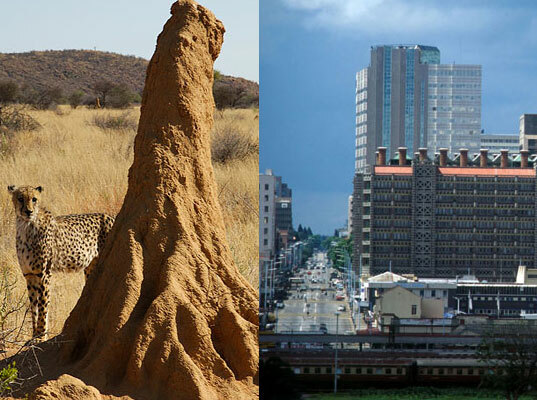 A termite hill can easily regulate temperature, even in drastic outside conditions, a system used by the Eastgate Building in Zimbabwe. Architects, construction developers and engineers are benefiting from nature’s models as well in their use of structures and transportation. A revolutionary office building in Zimbabwe has applied air conditioning techniques from studies of termite hills: the dirt structures reinforce temperature stability, fluctuating just one degree in drastic climates. The Eastgate Building has saved its owner over $3.5 million in air conditioning costs so far, and uses 90% less energy in ventilation systems than other corporate buildings of its size. The possibilities are endless if this system is adopted by the many design companies focused on energy-reducing sustainable architecture, such as Arup and the U.S. Green Building Council. 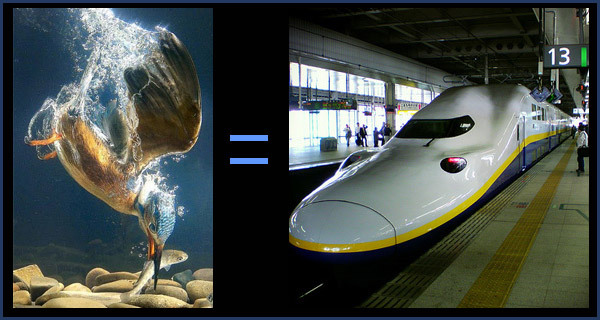 A kingfisher’s beak allows it to easily transitions between air and water, similar to the front end of this high-speed bullet train. Human lungs use a large surface area, combined with a thin permeable membrane and specialized chemical reactions to manage carbon dioxide in the body. A reaction of carbonic anhydrase helps remove carbon dioxide from our bloodstreams much faster than if our bodies did not produce it. The thin membrane, about one-thousandth of the thickness of a typed period, allows the gas to leave the lungs quickly and be expelled. Carbozyme Inc. has applied the reactions and purpose of lungs to factory smokestacks to create a process that removes 90% of carbon emissions that would otherwise contribute to global warming. 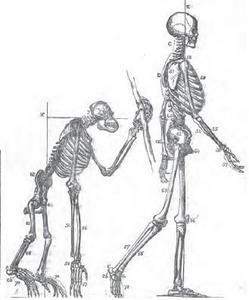 The human body’s evolution has produced many successful complex working systems, including our skeletons. If biomimicry receives more media and applied successes, we have the potential to create a building resource from environmentally-harmful gasses. Human bones have evolved to carry an unstable moving load of weight with minimal unnecessary features, but properly reinforced in just the right places. The optimized structure of the human skeleton is self-engineered to evenly distribute muscle despite using as little material as possible. These functions are being translated into computer programs for cars and other industrial designs. The resulting cars are 30% lighter than conventional cars, but still score as highly as other heavier vehicles in crash safety tests. What biomimicry has taught us is that nature is successful enough to adapt and survive. Each element of life has a very specific purpose and process to function, and developed over 3.8 billion years to perfect stability. By preserving and studying nature- animals, plants and ecosystems- we have the resources to learn to provide for ourselves. It is simply a matter of looking for teaching examples in unlikely places, like at the bottom of the ocean or within our own bodies, and applying these lessons in evolutionary design to our own lives. This entry was posted in Expanding the Scope of Now, Exploring our World and tagged Biomimcry Institute, buildings and structures, nature is neat, science!, sustainability. Bookmark the permalink.